On the precipice of WrestleMania week, that festival of graps that attracts nearly every promotion (the absences of Beyond and Progress are noted), Cageside Seats gave me a very special assignment: creating a scouting dossier for WWE. Create a document that lists the talent WWE should have its eyes on, as the world descends upon New York and New Jersey, its home turf. I almost scoffed — lord knows such a piece will provoke angry remarks about how we’re encouraging the McMahon dynasty to drain the indies — but I took the assignment anyways, out of curiosity. Some talent are off this list for obvious reasons, and others for simply rumored and reported stories that nullify WWE’s need to research them. For example, Chris Brookes is believed to have turned down a deal with NXT UK while NXT employee Gabe Sapolsky should already be acting as WWE’s eyes and ears with regard to his EVOLVE roster, including JD Drake, Anthony Henry, Darby Allin and Austin Theory. Oh, and Shane Strickland’s already announced to be leaving the indies, and I’d take wagers that he’s bound for Full Sail, with an in-crowd appearance at Barclays on Saturday being more than likely. Plus, let’s not act like WWE needs any of these wrestlers. Its supply of talent is a war chest beyond what the company needs or can use. For example, I start with a tag team, and WWE already has excellent tag teams that it does nothing with on a regular basis, and instead chooses to make big teams out of its singles stars (Ricochet and Aleister Black). At the very top of the indies (are they signed-signed to Impact? who knows) sit the very best tag team in pro wrestling (sorry, not sorry Bucks and Lucha Bros) Santana (AKA Mike Draztik) and Ortiz (AKA Angel Ortiz) currently known as LAX. Also known as EYFBO, these guys have been tearing the world up for quite some time, including a 2018 Match Of The Year contender against Chris Brookes and Jonathan Gresham (OG CCK) when Progress last stopped by New York City. The best kept secret of the west coast, Fatu (son of The Tonga Kid, cousin to Jimmy and Jey Uso) is currently stacking up gold (recently winning Defy’s tag titles with Josef Samael). The guy is one of the top hybrid prospects, moving like the wind while having the mass of a stack of bricks. Jacob’s likely signed to MLW, which is featuring him heavily, but WWE should keep their eyes on this kid, so they know what to do when his contract is up. WWE will only have a solid stockpile convincing shoot-fighters for so long, as Ronda and Brock don’t exactly feel dependable, and once Riddle gets called up, you only have him on one brand. Enter Timothy Thatcher, who’s definitely large enough (in body) for WWE, you just don’t think of him as such because he’s always standing next to the living Easter Island statue known as WALTER. With Thatcher, WWE could have someone who can legitimately put fear in the minds of everyone in the audience. Yes, they probably know who he is, he’s not at all new, but when I was asked at last year’s Mania week who WWE should be looking at, I said him then, and nothing’s changed since. And sure, Thatcher isn’t a talker, and will likely need a manager. Fortunately, I think he and Court Moore (the talent relations expert formerly known as Stokely Hathaway) have a pre-existing relationship. A long shot, I know, but I need to say some things. The stone pitbull of New Japan Pro Wrestling is shockingly absent from the big G1 Supershow (hopefully he can answer Bully Ray’s open challenge and tear the lunk’s head clear off his body), and who knows how that’s sitting with the thiccest man in Japan. if WWE wants to bring him in for a year or two, where he could add some seriously jaw-dropping new match options (Ishii vs Joe, plese), it would be a great way to add to his history. My experience seeing Ms. Manic in action may be limited, but she’s always shown an interesting amount of charisma, and seem like a talent who has some indescribable x-factor. 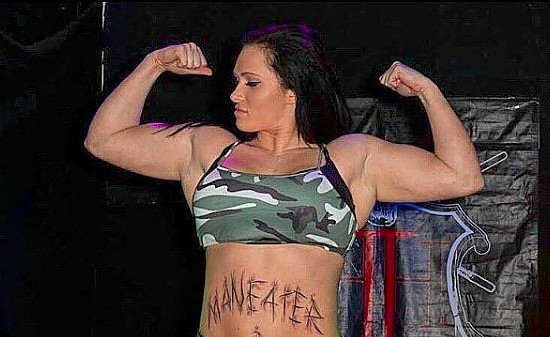 Manic may have an edge to her, but WWE’s in need of more some body diversity in its women’s division, and could use a tall, jacked superstar who can actually move smoothly (sorry Tamina). Keeping a low profile these days, the lanky and intimidating luchador best known for his time on Lucha Underground would be a solid addition for reasons similar to why I picked Maria Manic. Differences in styles make matches, and since Angelico isn’t at Mania and Josh Briggs is currently injured, I’d say the best tall boi that WWE should get eyes on is Luchasaurus. Currently in his fourth year in pro wrestling Mance Warner feels like the breakout guy of 2019. WWE should be keeping an eye on ole Mance for a few reasons – including his amazing charisma – but he fills a void in southern characters in ways that nobody on the roster does (though Trevor Lee probably will). His performance also has an air of real insanity to it, making Warner the lunatic that WWE wanted Dean Ambrose to be. With an excellent ground game and strong character skills (see her work in Chikara as the terrifying Oceanea), the 5-year veteran has a strong tool set, and has been getting a lot of reps in, in promotions such as Limitless Wrestling, Women’s Wrestling Revolution and even Ring of Honor. The savage-weight Fred Yehi was a standout in EVOLVE until he left, and will wrestle in two matches this Mania weekend. The guy might need a manager, depending on your point of view, but he’s one of the hardest hitting dudes around. The supply of white-meat babyfaces is limited in 2019, and Solo Darling’s one of the best up-and-comers that I can see a stadium of fans getting behind. Small in stature but deceptively muscular and strong, Darling can remind me of Daniel Bryan at times. Look for her work in Chikara or listen to her episode of WrestleSplania. Always a great promo, Page’s recently become a body guy and could surprise WWE scouts who know him more for his earlier work and less for his recent work at Impact. Yes, Page just renewed his contract with Impact, so he couldn’t sign immediately, but WWE should see the progress the Canadian has made, and put him on a list of people to keep an eye on. Even though he’s working heel these days, the majority of Chuck Mambo’s career was spent being an ever-lovable, super-affable underdog babyface surfer dude. And while WWE has an in with Progress, where he wrestles, Mambo’s yet to show up NXT UK (or maybe he has? I haven’t seen every episode. So, I’m hoping that some WWE official (Regal?) has a ticket to Fight Club: Pro and Destiny Wrestling’s Fight For Destiny on Thursday afternoon, where he’s facing Connor Mills, another young up-and-comer, who should also get attention. A ton of fan support got Mambo a second match, wrestling Rich Swann at Pancakes and Piledrivers 3. If you’ve never seen Kris Wolf in person, you might not fully grok my decision here. Wolf’s gimmick is essentially of a human who’s lived with the wolves and has the manic energy that only life in the wilderness can deliver. My strongest memory of her was how her match with Nina Samuels at Pro Wrestling Eve in the UK shook me out of jet-lag, as she filled the room with an infectious energy. The only problem is that Kris Wolf is on her retirement tour, but — if WWE’s recent signings of Robbie E and Stokely Hathaway mean anything, it’s that NXT is where managers will matter again — there should be a place for Ms. Wolf in the WWE. Thoughts? Who are we missing? Which of the above would you like to see in WWE? Who’d have the highest ceiling if they did sign with Stamford? WWE Royal Rumble 2019 live streaming results, recaps, reactions, videos, more!